ElastiWrap cohesive bandages are a firm holding bandage with universal uses. Available in an appealing range of bright colours. 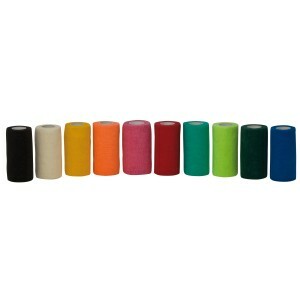 The ever popular ElastiWrap cohesive bandage comes in a great range of brights as well as black and white. Suitable for medical or decorative use i.e. to hold leg wraps in place.